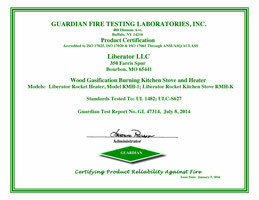 Burn both wood and pellets! Pellet Hopper burns one bag of pellets for over 12 hours. Free wood is available almost anywhere. 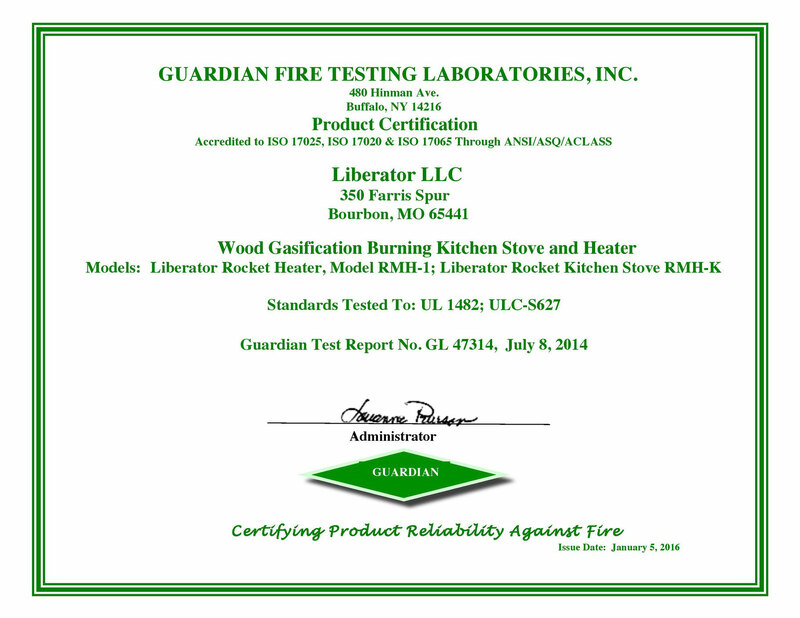 Burns both hardwoods and softwoods. 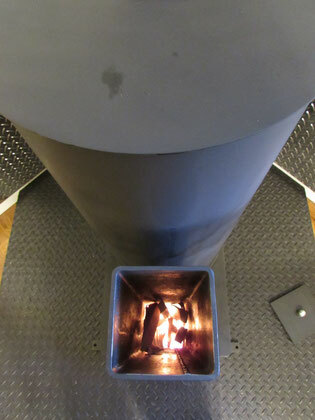 Efficiently burn fuel pellets in your Rocket Stove - with no moving parts! Hopper holds one bag of pellets. 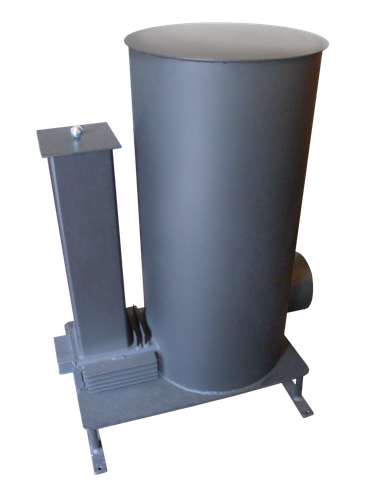 The Rocket Heater uses about one fourth the wood a typical wood stove because it burns all VOC's completely. This high efficiency is achieved by maximizing draft and oxygen similar to metallurgical blast furnaces. 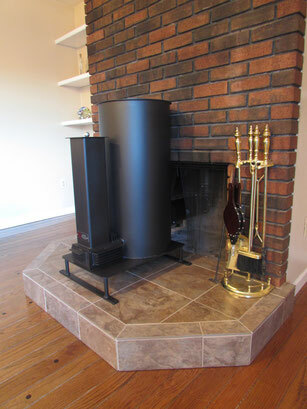 Most conventional wood stove's limit the air supply, restricting oxygen flow. This obsolete system is inefficient compared to Rocket Stove technology. A good clean burn is completely irrelevant if all heat goes up the chimney and into the sky. Convection, conduction, and infrared are the three ways the Rocket Heater transfers heat into the room. 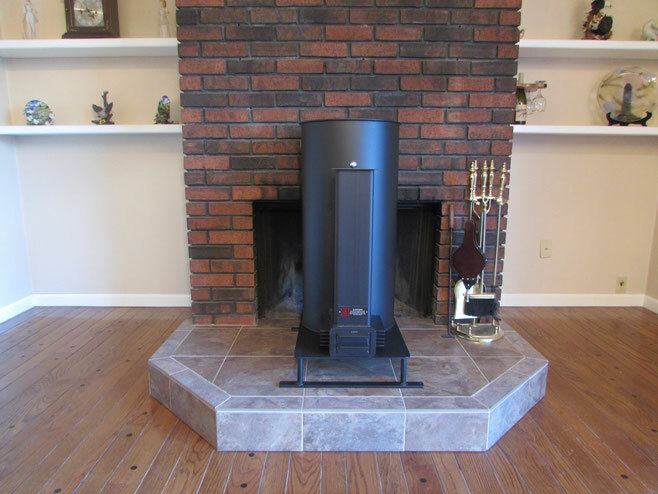 The Rocket Heater creates a high draft, thus creating a blast furnace effect! 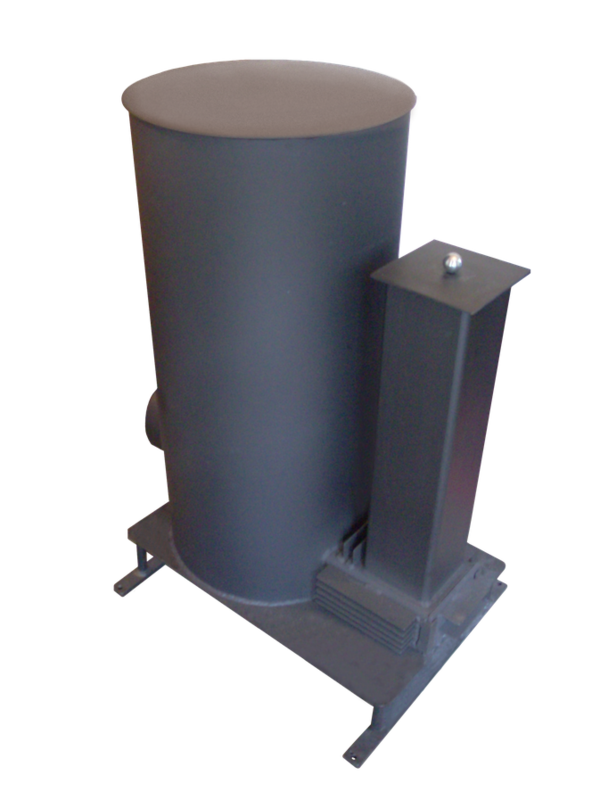 The Rocket Heater reaches maximum temperature (over 600 F.) in just a few minutes, but the heat is safely contained by 1/4" A500 grade structural steel. 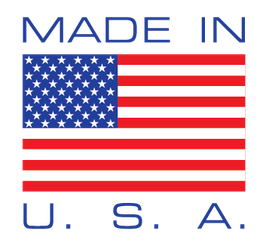 Save On Fuel Bills and heat up to 2,000 sq ft. efficiently! Heats workshops, homes, garages, outbuildings, industrial area's, barns, and much more. Shown Below is a video of an early prototype. 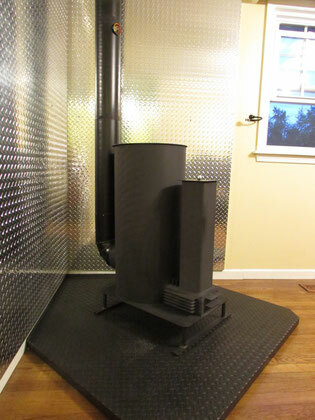 Shown Upper Left is a photo of our finalized version with flue pipe properly installed. T-connectors can be used in place of elbows to make cleaning and maintenance easier and more convenient. Shown Lower Left is the heater's firebox while running.